Sony regains second spot in global flatscreen TV sales | What Hi-Fi? 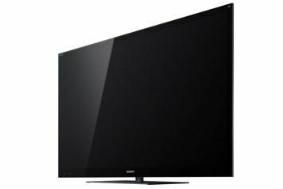 Panasonic was ahead in the 3D plasma TV market, selling 230,000 units to give it 50.5% market share, with Samsung trailing on 41.7%. Finally, stats for the LED-lit LCD market in the last quarter of 2010 show Samsung leading with a 19.1% market share (selling 3.6m units), followed by Sharp on 12.8%, Sony on 11.4% and LG on 10.6%.